Fishing Charters Captains Port Sanilac Michigan. 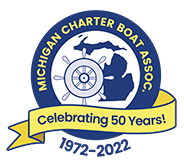 Charter fish for Salmon, Lake Trout, Walleye and Perch from Port Sanilac with a member of the Michigan Charter Boat Association. Lake Huron Salmon, Steelhead, Lake Trout, Walleye and Perch Fishing charter captains directory from the port of Port Sanilac , Michigan located at 43.442824,-82.542343 in the Great Lakes Region, USA.